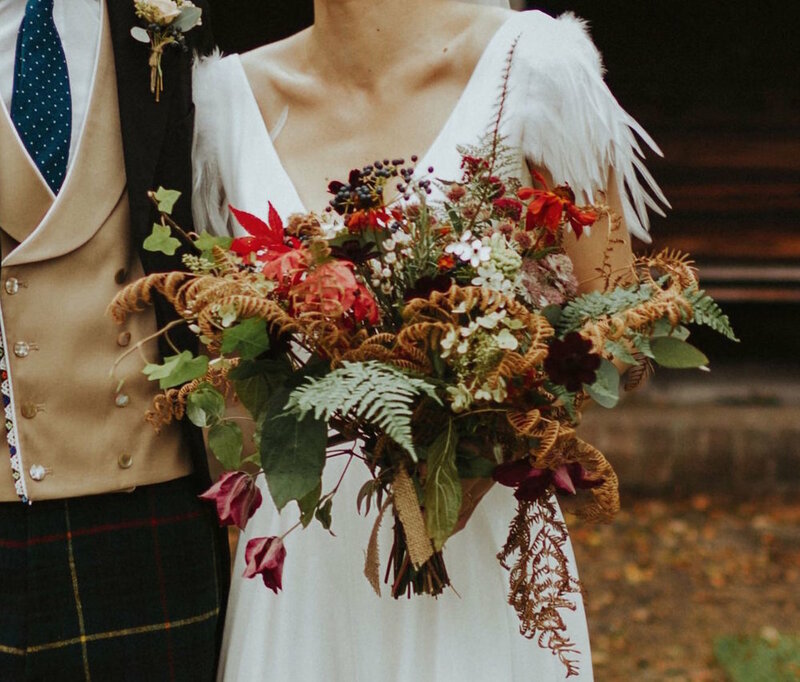 This wedding was such a delight; autumn is a season I take much joy from, I just love the different textures and rich colours that autumn brings us here in Scotland. 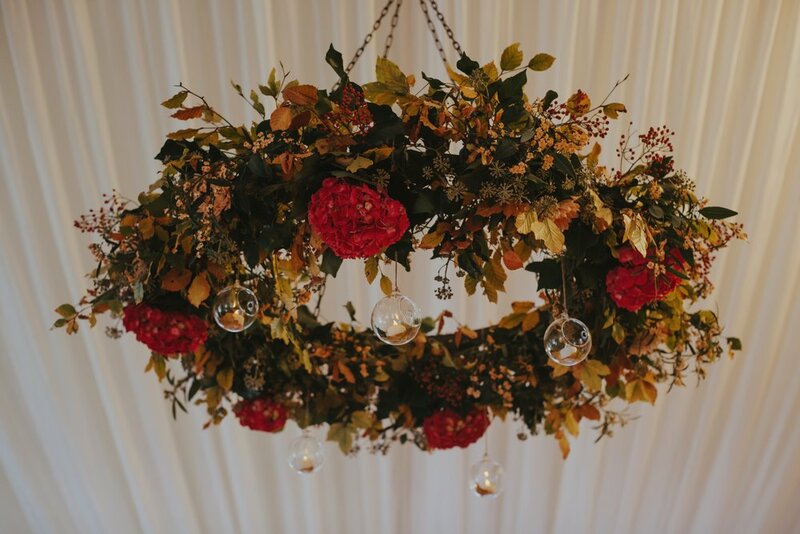 Emma and Tristan were keen incorporate the essence of the the season into their wedding day so we installed a variety of hanging arrangements with loads of yellow, orange and green beech branches. 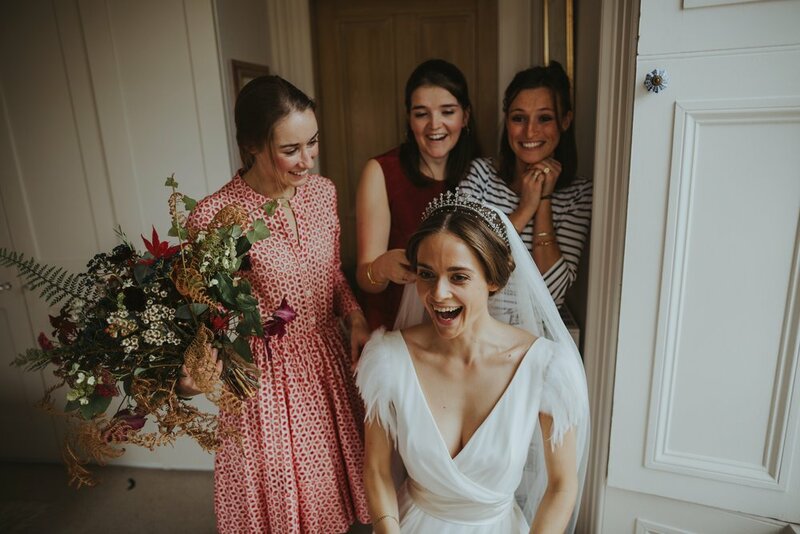 Emma crafty made columbines made out of conker, pine cones and berries which we then hung to go along with her very fun and inspiring table seating plan. The tables we decorated with simple brown and clear bottles with ferns and dahlias. We also used some vintage terracotta pots with seasonal flowers, berries and wooden candle holders.